Today was the first day since Lil-lil started preschool that Goosey was well and and we had no plans. After the preschool drop-off we looked at each other and said: "Well, now what?" It's lovely having time to spend one-on-one with Goose. It's really the first time we've ever got to do it. The chance to just hang out and talk about the world. She gets the opportunity to talk without being drowned out by her sister. For me, it's lovely (plus it's soooo much easier just parenting one child for a few hours). Today with a few free hours stretching in front of us, we went to our local train station and jumped on a train bound for the city. I used to do stuff like that with Lil-lil all the time before Goose was born, but I don't think I've done it since. Goosey loved it. The platform, choosing a seat, watching the world whizz by the window and seeing the people board and alight the train. She especially loved the tunnels as she could admire her reflection in the window. The trip to the city and back was just long enough for her to get her fill. 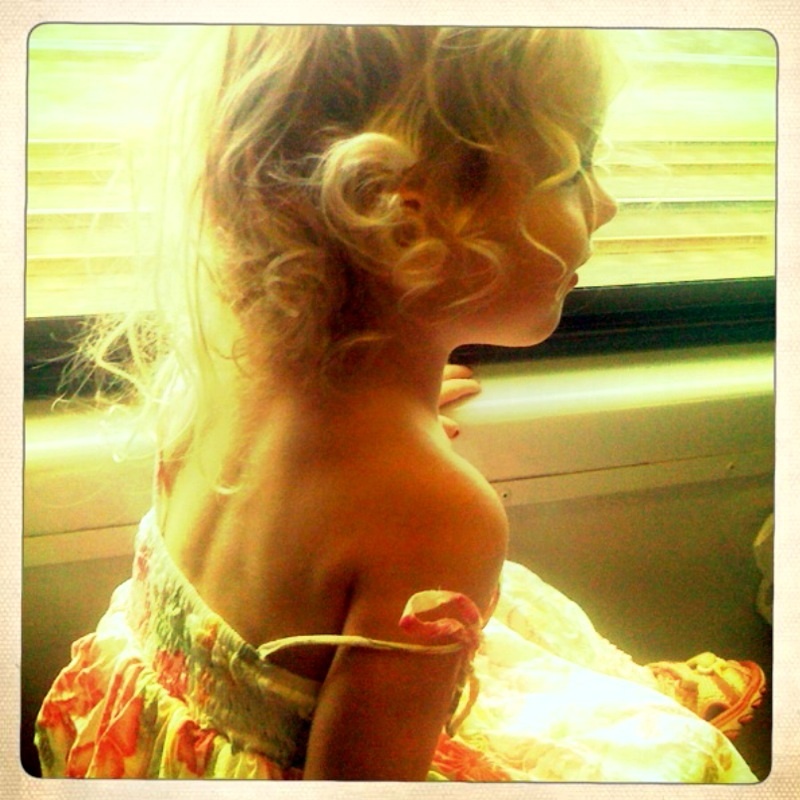 In the car on the way home she chattered away about riding the train. I'm so enjoying this special time together – just mother and daughter. It's long overdue for Goose. Now, to plan something for next week. Any ideas? With Cappers just started school, I am also loving having my one little Badoo at home on my Wednesdays. As my third, she is beside herself with the excitement of being alone with Mummy. But I do notice that she talks on and on about her siblings, which is a good indication that they are a BIG part of her world.